When its cold, snowy, muddy, or slushy there is no better time for an indoor Recess Rocks class! For those who don’t know, Recess Rocks! 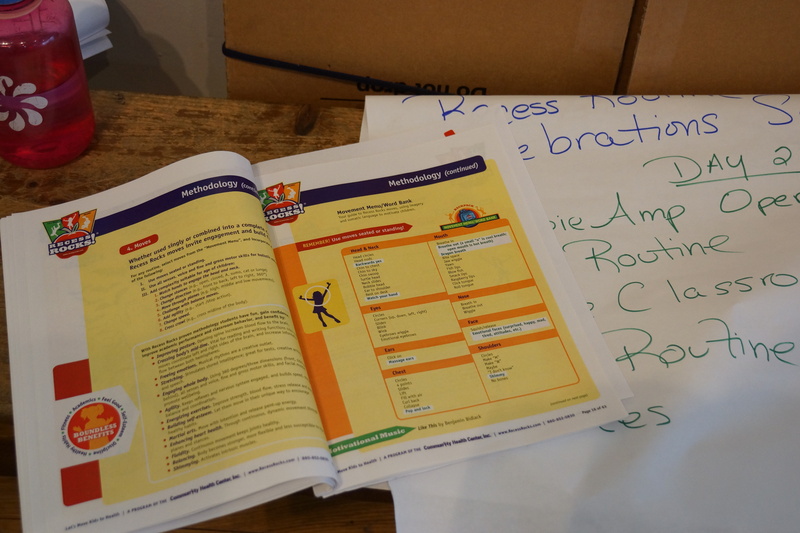 is a Community Health Center Program designed to help reverse childhood obesity by getting kids moving in schools! The program builds self-esteem, sharpens their minds with tricky moves (nothing is hard in recess rocks), and encourages lifelong healthy habits! This year we trained over a dozen of our AmeriCorps members as movement instructors. They are able to lead classes at schools during their recess time, and also at community centers, festivals, children’s events etc. Currently our Winter Recess Class Session is underway. We visit 7 schools in Middlesex county weekly to provide energizing recess classes and are expanding to elementary schools in Norwalk this month as well! Now for the fun part, the classes! The classes consist of routines to upbeat music featuring a variety of exuberant, nonstop moves! A fun and effective workout for the kids, but also for adults. 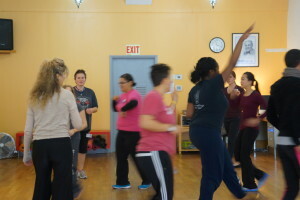 Teachers learned and now teach moves such as ‘jumping squirrel’ to “Hey Soul Sister”, ‘rolling rainbow’ to “Rock and Roll” of course their fair share of kicking, punching, and yelling hiiii-yah! Have a rockin’ day everyone! Introducing a 9th AmeriCorps Member!